Expedia has some outstanding Calumet travel packages Combining your bookings is one of the simplest ways to save time and cash — and get your journey off on the right foot. Our extensive database provides more than 400 partner airlines and 321,000 worldwide properties. With such a great range to choose from, you really can't go wrong! We've got all the sightseeing info you need for your trip to Calumet. Grab your planner and get ready to start topping up your itinerary. It's often been said that knowledge is power. With that in mind, you'll definitely feel more powerful when you're finished with Coppertown USA Mining Museum. There's a fabulous range of things to do in this destination. Oh to be a fly on these walls! Just picture the countless deals and impassioned arguments that have happened at Keweenaw National Historical Park Headquarters. Catch a tour and get an up-close-and-personal look at this historically significant building. Still have some time on your hands? Italian Hall Historical Marker offers a space for quiet reflection. Learn about the features of this memorial and find out more about why, when and how it was created. Get your hands on a snack, plug in your headphones and browse through those in-flight movies. Before you know it you'll be stepping out of the plane at Houghton County Memorial Airport (CMX)! Situated 6 miles (10 km) south of Calumet, is this destination's nearest terminal. 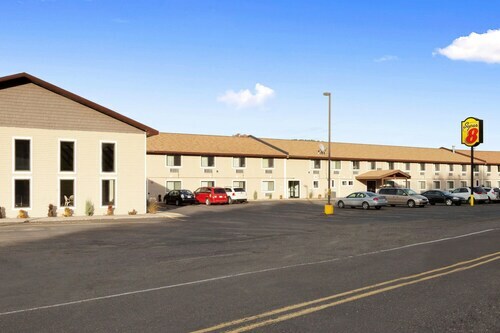 Situated in Calumet, this hotel is within a 10-minute walk of Coppertown USA Mining Museum, Keweenaw National Historical Park Headquarters, and Copper Country Firefighters History Museum. Italian Hall Historical Marker is 0.5 mi (0.9 km) away. Omphale Vacation Retals-2 Fully Equipped Apartment for Short Term Rental! 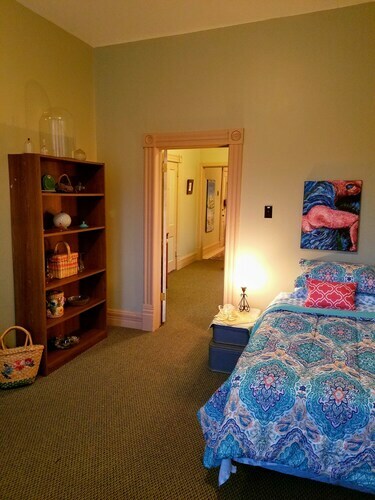 Situated in Calumet, this vacation home is within a 10-minute walk of Italian Hall Historical Marker and Copper Country Firefighters History Museum. Coppertown USA Mining Museum and Keweenaw National Historical Park Headquarters are also within 1 mi (2 km). Situated in Hancock, this hotel is within 1 mi (2 km) of Finlandia University, Houghton–Hancock Bridge, and Mont Ripley Ski Area. Quincy Mine and Portage Health are also within 2 mi (3 km). Situated in Houghton, this hotel is within 1 mi (2 km) of Michigan Technological University, Houghton–Hancock Bridge, and Rozsa Center for the Performing Arts. A.E. Seaman Mineral Museum and Mont Ripley Ski Area are also within 2 mi (3 km). This family-friendly Houghton hotel is within 2 mi (3 km) of Mine Shaft, A.E. Seaman Mineral Museum, and Houghton–Hancock Bridge. Mont Ripley Ski Area and Finlandia University are also within 3 mi (5 km). Situated in a rural location, this hotel is within 3 mi (5 km) of Mont Ripley Ski Area, Finlandia University, and Michigan Technological University. Portage Health is 3.8 mi (6.1 km) away. 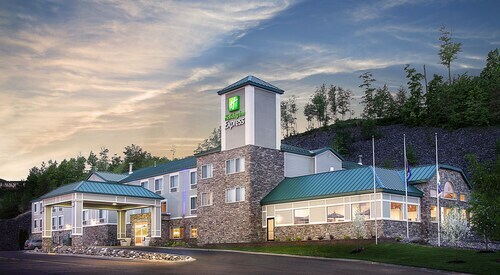 Situated on a river, this hotel is within 1 mi (2 km) of Houghton–Hancock Bridge, Michigan Technological University, and Rozsa Center for the Performing Arts. A.E. Seaman Mineral Museum and Mont Ripley Ski Area are also within 2 mi (3 km). Situated in Hancock, this hotel is within 1 mi (2 km) of Finlandia University, Mont Ripley Ski Area, and Houghton–Hancock Bridge. Quincy Mine and Michigan Technological University are also within 3 mi (5 km). Sat., 10 Aug. - Sun., 11 Aug.